Los Angeles rapper Kid Ink tapped Usher and Tinashe for his new single "Body Language," and now he's detailed the album that the song is attached to. Full Speed will be out on February 3 through Tha Alumni Music Group/88 Classic/RCA Records. That's the cover artwork above. 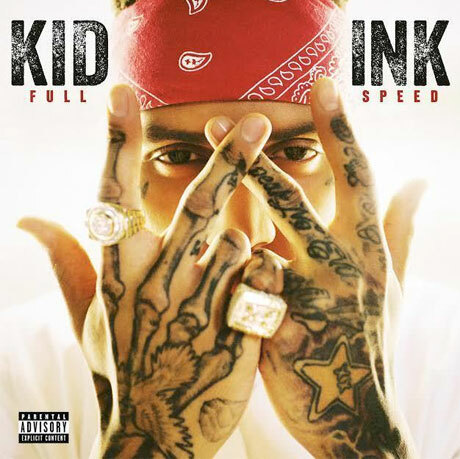 Full Speed's title is apparently a continuation of the metaphor contained in the title of Kid Ink's most recent record, My Own Lane, which came out back in January. "I named my last album My Own Lane because that's exactly how I felt at the time," he said in a statement. "After having an amazing year, I feel like I am just now hitting my stride and I'm going full speed in my own lane on this album." Beyond that, we don't have much information about Full Speed, since the tracklist and guest contributors have yet to be confirmed. Digital pre-orders will launch on December 15, and those who buy it will get an instant download of "Body Language" plus another track called "Cool Back." In the meantime, hear the new freestyle "Copy That" below.